Happy New Year! Are you ready to “rightsize” your life in 2011? Well, I’m here for you with lots of ideas and inspiration! Remember, downsizing is not just for empty-nesters or retired couples, many families with children are choosing to “rightsize” their life by moving into smaller homes or renting a condo or apartment. Often this means smaller bedrooms and/or kids sharing rooms. 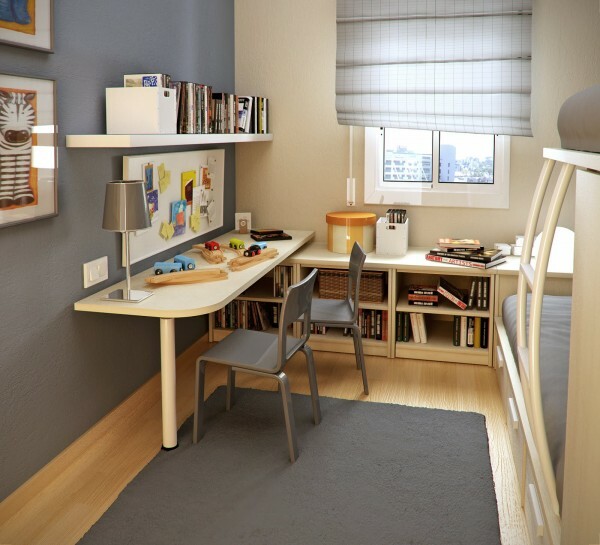 While bunk beds still provide a great solution, small kids rooms don’t have to sacrifice on style or functionality. Check out these beautiful designs by Barcelona interior designer, Sergi Mengot. How cool is this bunk bed set up? I love this trundle bed! By utilizing vertical storage and lining the rooms perimeter, Sergi creates gorgeous, streamlined functionality and a calm, organized space. Notice the use of simple color too – this helps make small spaces feel bigger and less cluttered. The clean lines of his selected furniture can easily be mimicked using inexpensive lines by Ikea. Gone are the days of ugly oak bunk-beds and primary colored kids rooms! 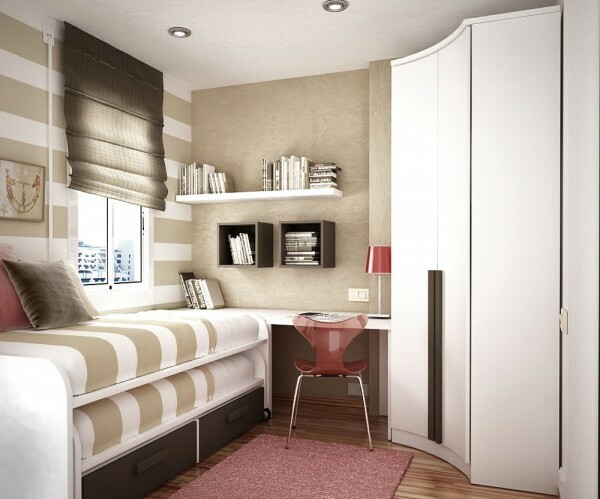 Make your downsized children’s rooms something special! Like what you see? For more modern goodness for your little ones check out these retailers here and here. As always, I love to hear from you! What new projects or ideas do you have going on for 2011? How can I help you downsize? This year, I will be bringing you some real life stories from my clients and friends who have chosen to downsize and I will be gathering a group of experts that can help you with the transition, while sharing their top tips! 2011 is going to be a fantastic year! Hello from the Michigan front! I love reading your blog and looking at all of the cool downsize trends and designs. Natalie and I have been going back and forth a lot with whether we should stay in our 1800sqft cape cod that’s walking distance to everything we need, or try and move to a more rural location and build sustainable. Currently we’re with the mindset of staying, but we would have to change our design/function of certain rooms (especially if we plan on starting a family). Your blog always gives me good ideas!